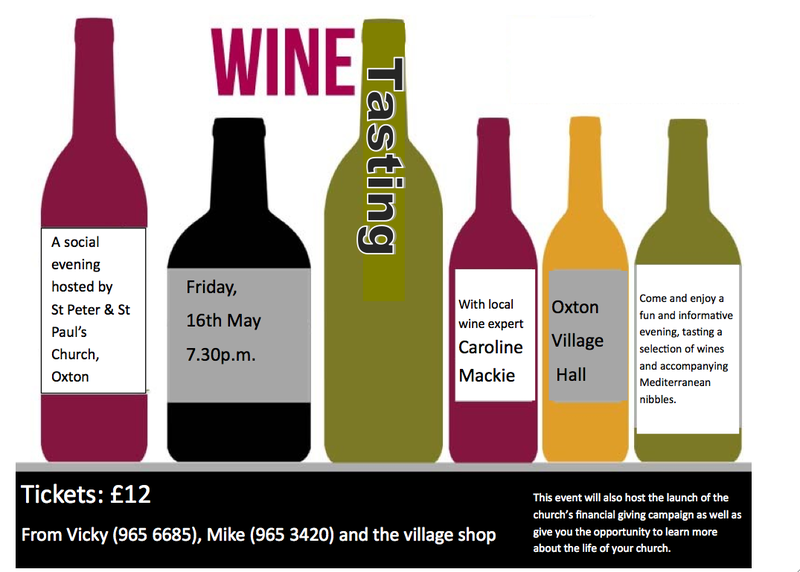 Oxton Church are putting on a wine tasting event on Friday 16th May in the village hall, which local wine expert, Caroline Mackie, has kindly agreed to front. Tickets are £12 each, and include all the wine, plus some light refreshments (Mediterranean tapas style). Please do come along. Please contact me, Vicky 965 6685 or Mike 965 3420 for tickets or pick some up from the village shop.